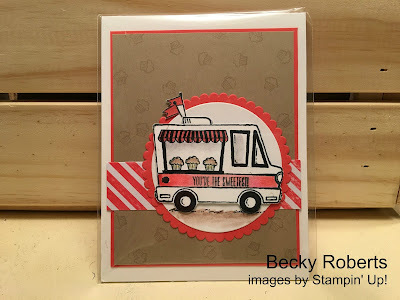 It's Team Swap Monday and today I am happy to feature a swap by Becky Roberts. She used the Tasty Trucks stamp set from the Sale-A-Brations flyer. 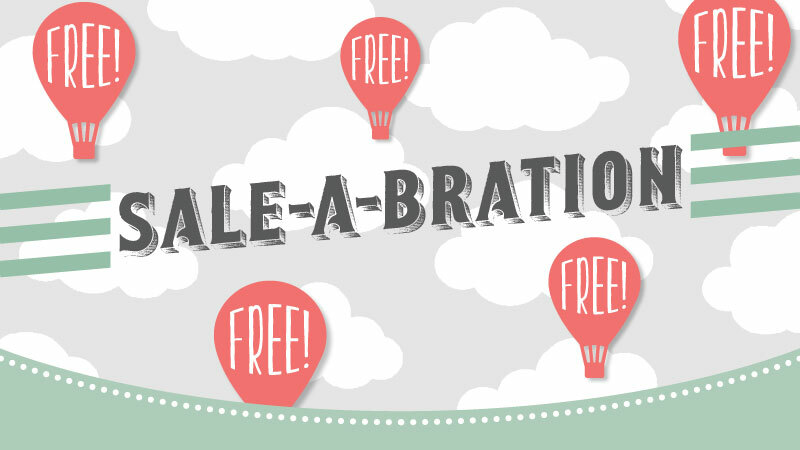 You can get this product for FREE with any $50 product purchase until March 31, 2017. 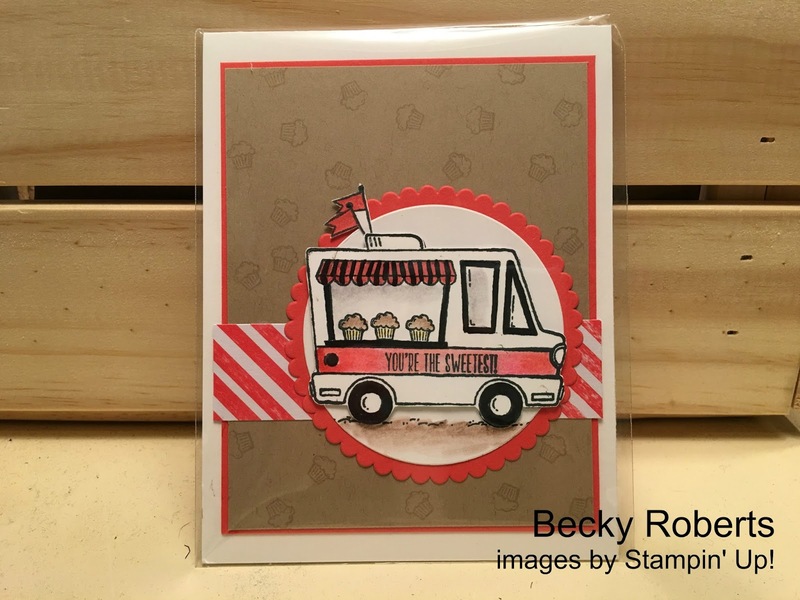 This stamp set can be a truck for tacos, ice cream, cupcakes, hot dogs, or pancakes. It is so much fun! This beautiful collection of glimmer paper was added last week, as well as two more great stamp sets! You can shop with me in person or HERE with my online store. Thank you for using this online hostess code when your order is less than $150. 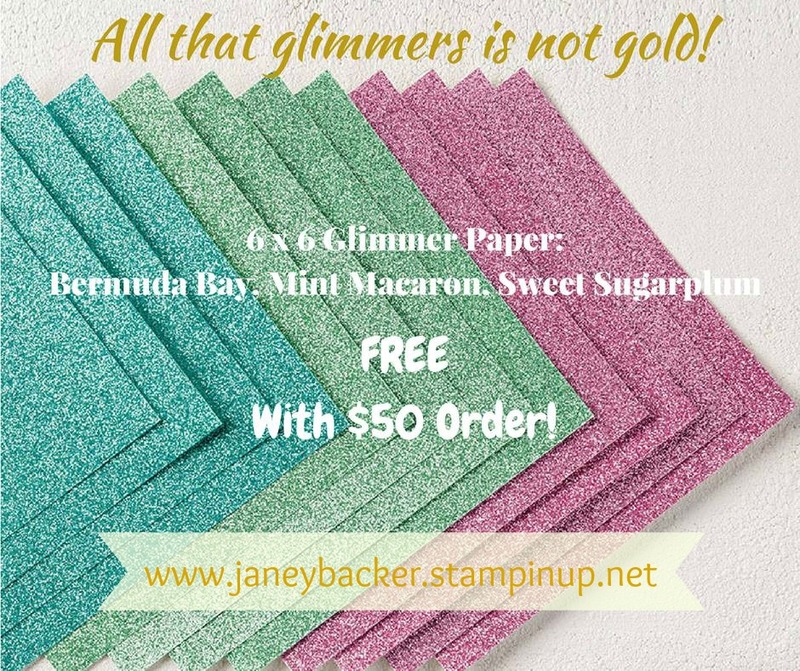 The Glimmer Paper is my favorite item in the new collection. 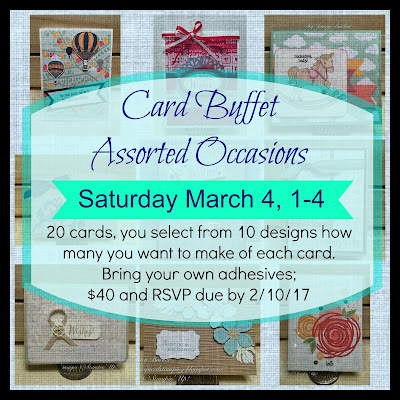 There is still a few seats open at my March 4th Assorted Occasions Card Buffet. Space is limited so contact me to reserve your space today! 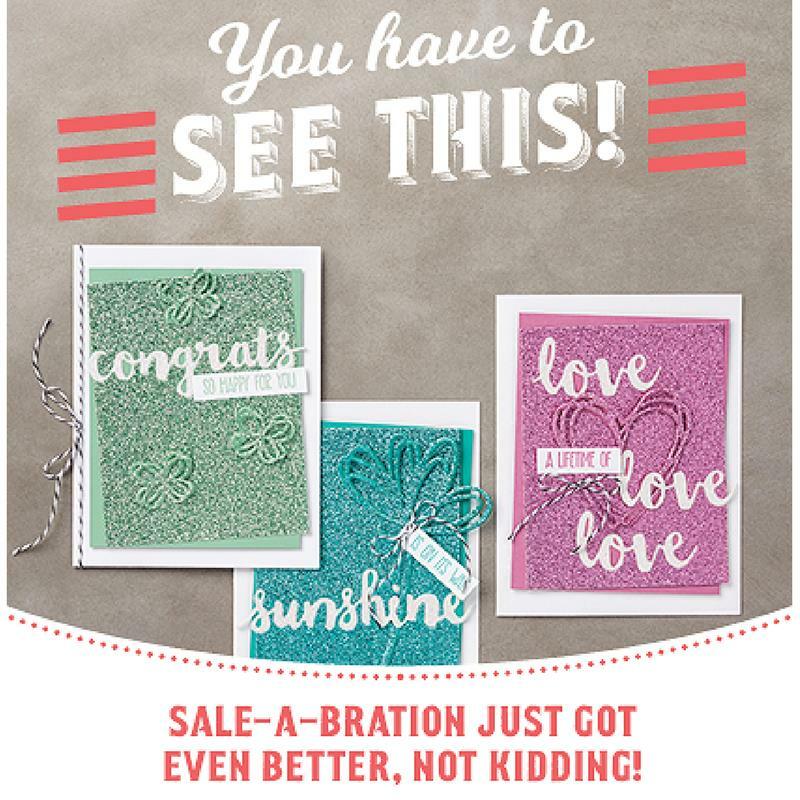 It is so fun to create many cards and play with a variety of supplies. 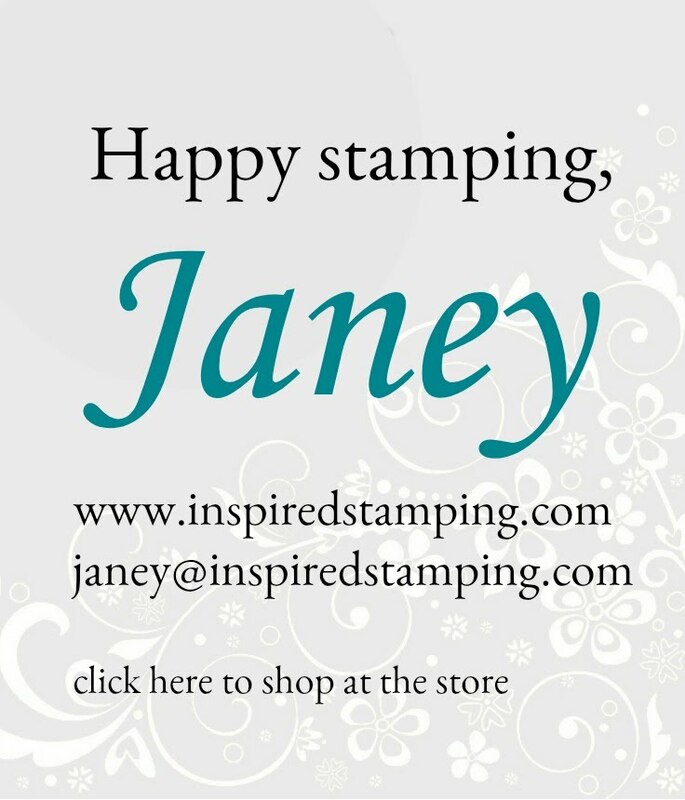 Please remember to use my February hostess code when you shop online here or you can always order directly with me. 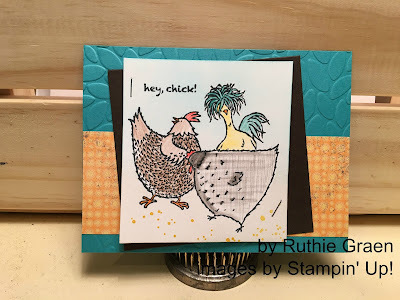 It is Team Swap Monday and today I feature a card made by Ruthie Graen. These chicks are such a great stamp set from Sale-A-Bration.